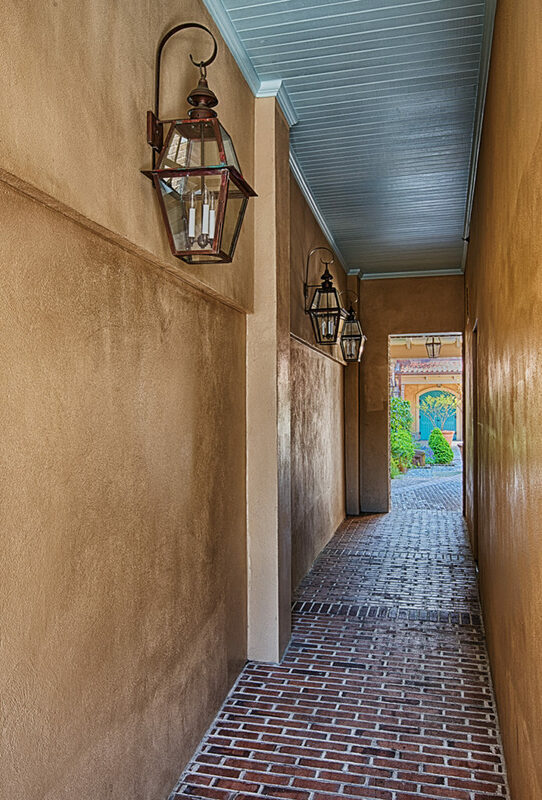 The architecture of historic Charleston is an aspect of the city that one knows without ever having been there. So often has it been photographed and filmed that it has become synonymous with the identity of the city and has seeped, unnoticed, into our subconscious. 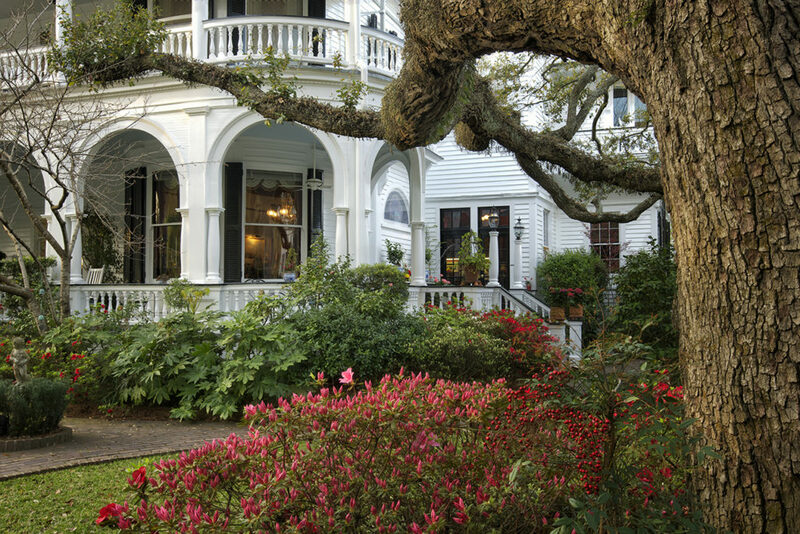 The grand antebellum houses; the elaborate wrought iron railings; the ornate carriage lamps; the covered passageways that lead to secret gardens; the lush, carefully sculpted gardens; the elegant palmettos lining flagstone streets: all have coalesced in our minds to constitute our perception of Charleston. So it was that, upon first walking the streets of downtown Charleston, I had a strange feeling that I had been here before. It was a comfortable, reassuring feeling: as if I could find my way around without needing a map: I already had a feel for the place. The lead image is of High Battery, an exclusive row of pastel-coloured houses that runs along the waterfront on the Cooper River side on the peninsula on which the old city is built, facing east towards the ocean. 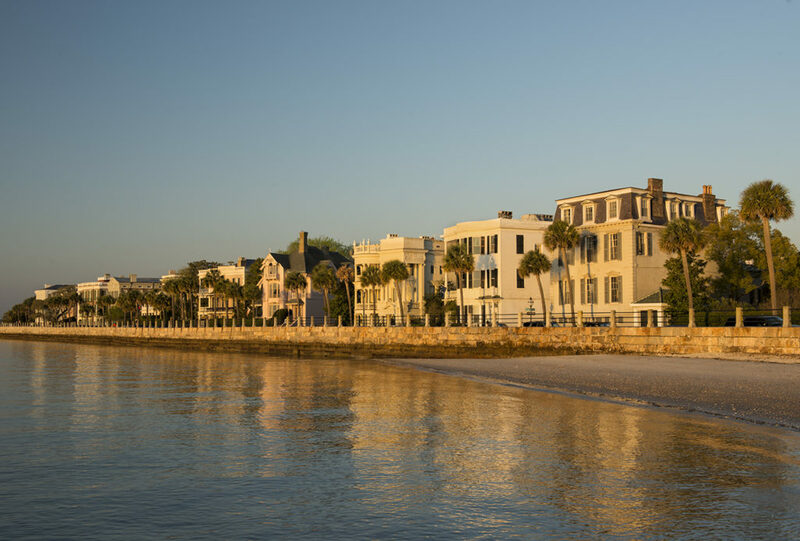 Before sunrise, I had taken up my position on the portico of the swanky Charleston Yacht Club to capture the magical moment when the pale facades of the mansions are bathed by the rising sun in sensuous golden light and their reflections dance on the sparkling waters of Charleston Harbour. Each one of these elegant houses has its own character, its own renowned architect and, indeed, its own name. There is the Louis DeSaussure House (No. 1, built in 1850), the William Ravenel House (No. 13, built in 1845), the Charles Drayton House (No. 25, built in 1886). 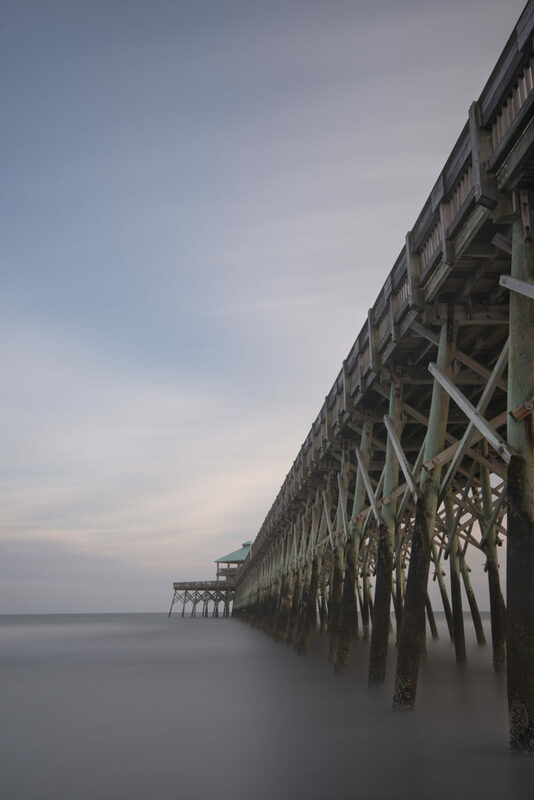 Each is named after the prominent Charleston resident who commissioned it, among them shipping magnates, army officers and cotton plantation owners. These houses almost never come on to the market for sale but, if they were to, it is rumored that bidding would start around the $30 million mark. 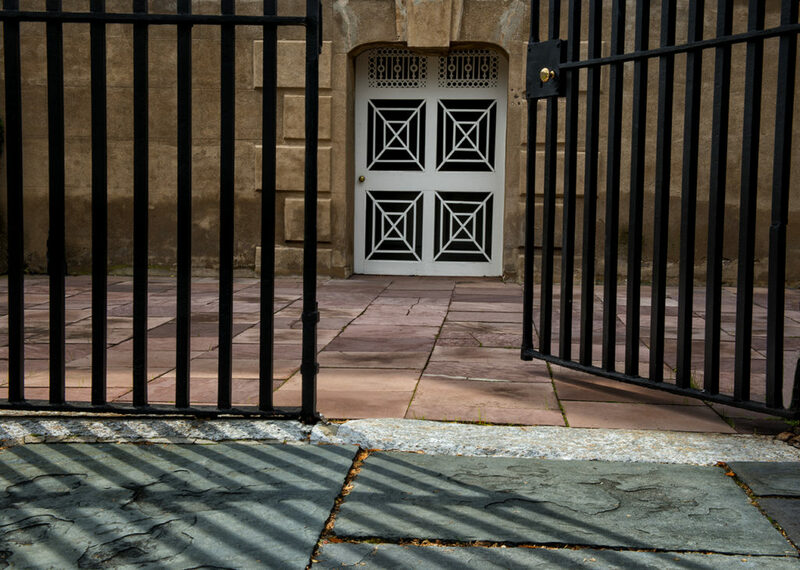 Walking around the streets of old Charleston, there are so many fascinating subjects to photograph that the day slips by quickly. And, because the city is laid out in a grid, the streets that run east-west are bathed in light in the morning but shaded in the afternoon, while those that run north-south are in shade in the morning but brightly illuminated by warm sunlight in the second half of the day. As a result, each subject changes its appearance dramatically during the course of the day, requiring the photographer to return at different times to capture its changing moods. 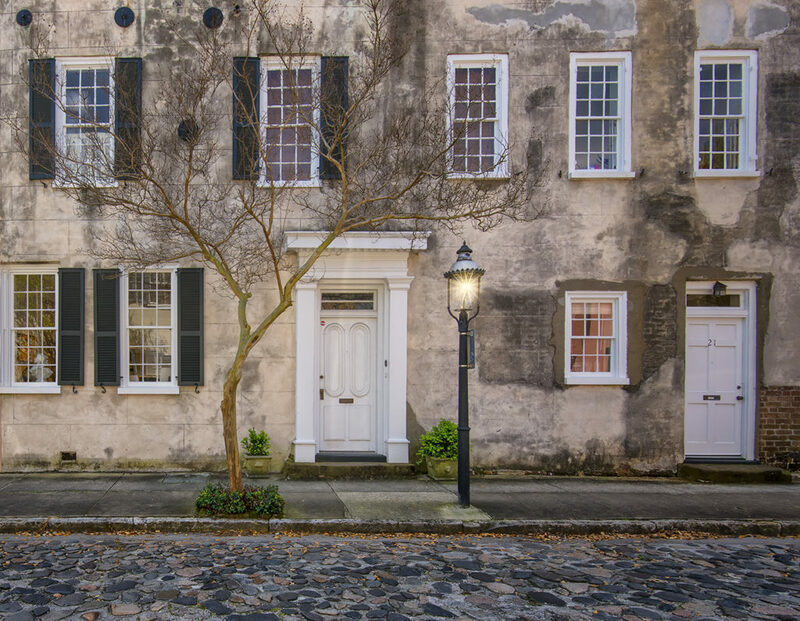 On four of my seven days in Charleston, I spent at least part of the day photographing the historic district. I could have spent all seven days doing so and not have run out of fascinating subjects. 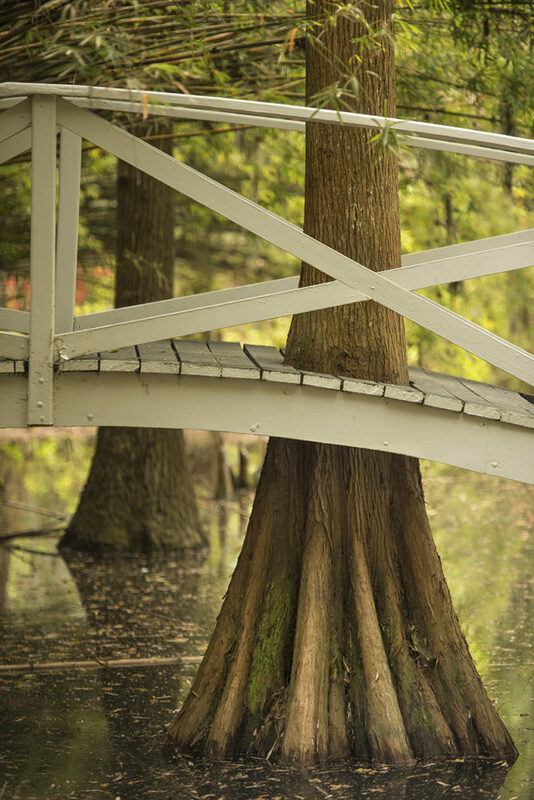 Magnolia Plantation and Gardens in Charleston, South Carolina is one of those iconic locations that I have long yearned to photograph. When I finally got to visit the gardens for the visit time, the experience was a huge disappointment. 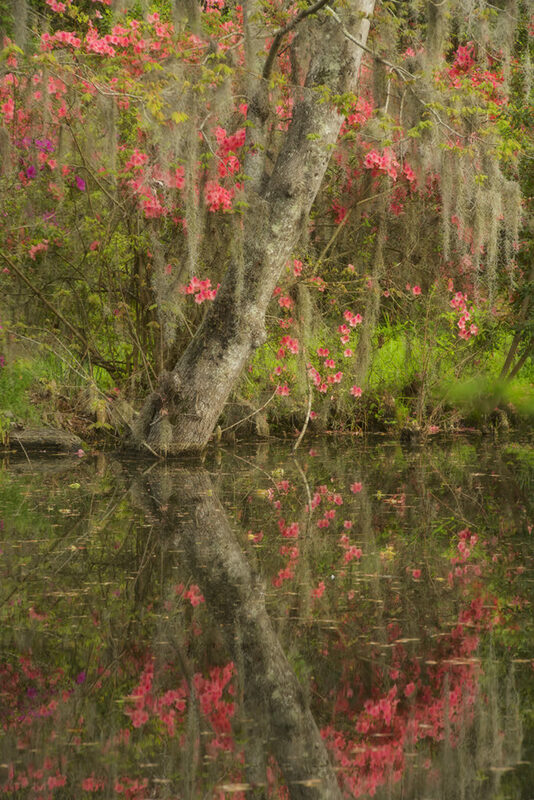 Arriving in late March with a group of photography friends, we were several days too early for the peak flowering of azaleas and dogwoods, which lend the gardens with famous bursts of pink and purple. And, as our group didn’t arrive at the gardens till after 9.00am, the light was already bright and overly harsh: we had obviously missed the golden, early-morning light which characterizes all the images of the gardens that I have been carrying around in my mind’s eye for years. 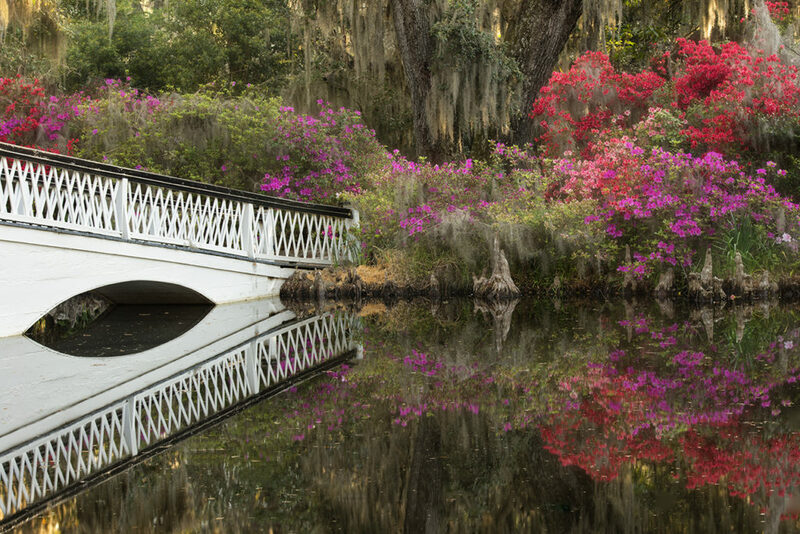 While my first visit was a let-down, I consoled myself with knowing that I had a full week left in Charleston and that there would be other opportunities to try to capture the gardens in their full splendour and in the right light. 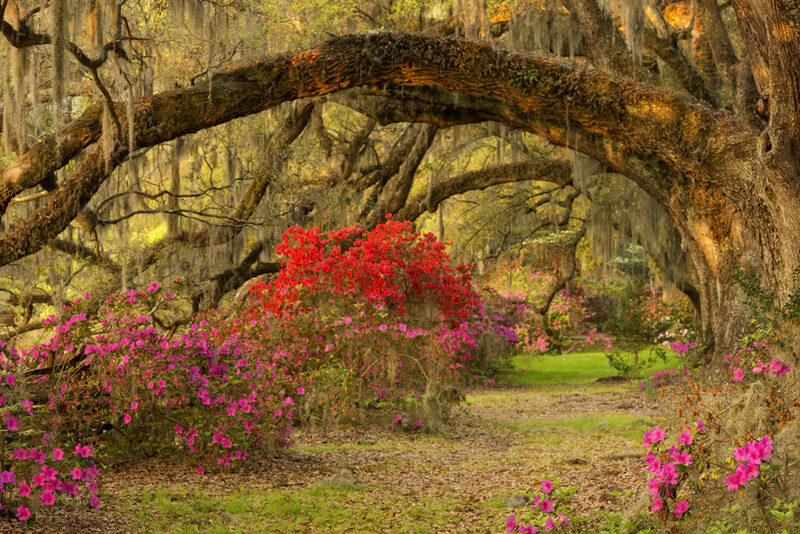 On the last two days of my week in Charleston, I was back at the gardens on my own at 6.30am on both days: more than half an hour before sunrise. I was not going to be cheated out of the sweet light! While the gardens don’t open till 9.00am, far too late for the good light, I had heard from other photographers that there was a way of getting in earlier and it turns out it’s rather simple: while the entrance gates don’t open till 9.00am, the exit road has no gate – so, I simply drove in through the exit! As I have found so often in the past, I do my best work when I’m alone. While I enjoy heading out on a shoot with a group of friends, when it comes to the sharp end of photography – to getting to the right place, at the right time, in the the right light and capturing the best possible image – I’m not willing to be beholding to other people’s timetables and location preferences. I need the freedom to be where I need to be and I need the time and space to plan and prepare to capture the image I came to get. So it was on my last two mornings in Charleston. And that was when I captured the images featured in this blog. The way in which sunlight strikes the earth’s surface in the early morning in the southern United States is mesmerizing. One moment, the gardens are bathed is soft, reflected almost colourless light; the next, the sun breaks the horizon and this magical, golden light starts to creep across the ground, then stealthily climb up the trunks of the trees to strike the undersides of their branches. The transformation in lighting is both dramatic and swift, so the photographer must pay close attention to make sure to open the shutter at the perfect moment. The second image, of Oak Avenue, is a good example. Sunrise occurred at 7.03am. I shot 26 frames between 07.03:57 and 07:21:36. The first exposure lasted 11 seconds, the last 1 second; all were taken at f11 and ISO100. The featured image was shot at 07:18:57; the image that I took immediately before this one was timed at 07:16:52 and the light is flat, colourless and drab. Three exposures later, I took an image at 07:19:53, in which the light on the trees is blotchy and borderline ugly. Throughout this period of less than 19 minutes, I was watching the light on the ground and on the trees constantly, opening the shutter at each perceptible change in the light and shortening the shutter speed to compensate for the increasing brightness of the light, making sure I avoided blown highlights on the oak trees. 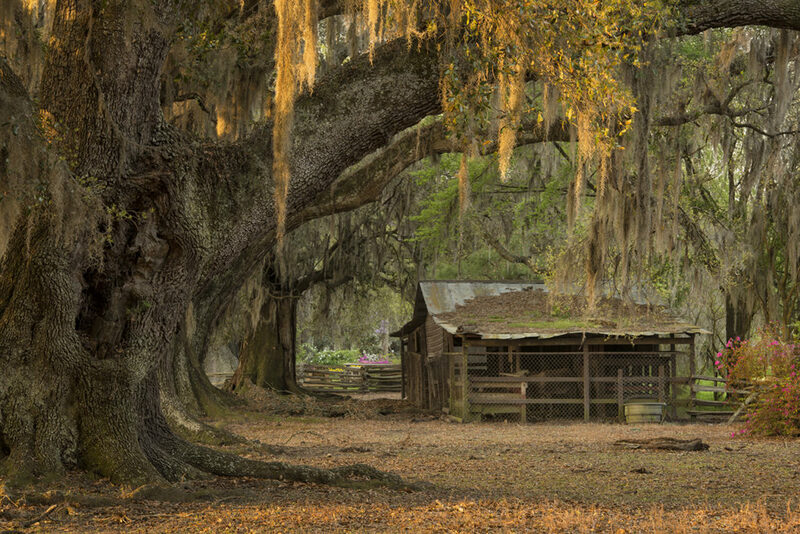 Only one of the 26 images achieves the ideal combination of soft overall light with subtle hints of golden sunlight on the undersides of the branches. At 7:35am, as I heaved camera bag over my back and hitched my tripod on to my shoulder, ready to move on to the next location, a group of four photographers arrived at the northern end of Oak Avenue, chatting excitedly among themselves, visibly excited at the prospect of getting to photograph this iconic scene. I didn’t have the heart to tell them that the best light had already been and gone 17 minutes earlier. 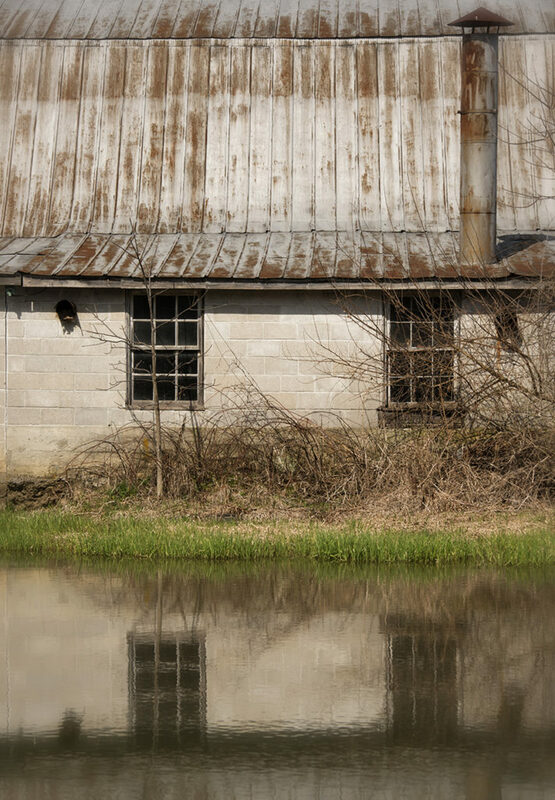 This water-powered woolen mill was built in 1806 in Bedford County, Pennsylvania. It harnessed the power of Yellow Creek to operate the machinery that processed wool collected from sheep farmers throughout the surrounding valley. While ownership of the woolen mill passed through several hands during the 1800s, it operated continuously from 1806 right up until the 1960s. After a closure that lasted some thirty years, the mill was bought by the grandson of one of the earlier owners, who restarted production of the fine woolen blankets and garments, for which Waterside Woolen Mill had become renowned. 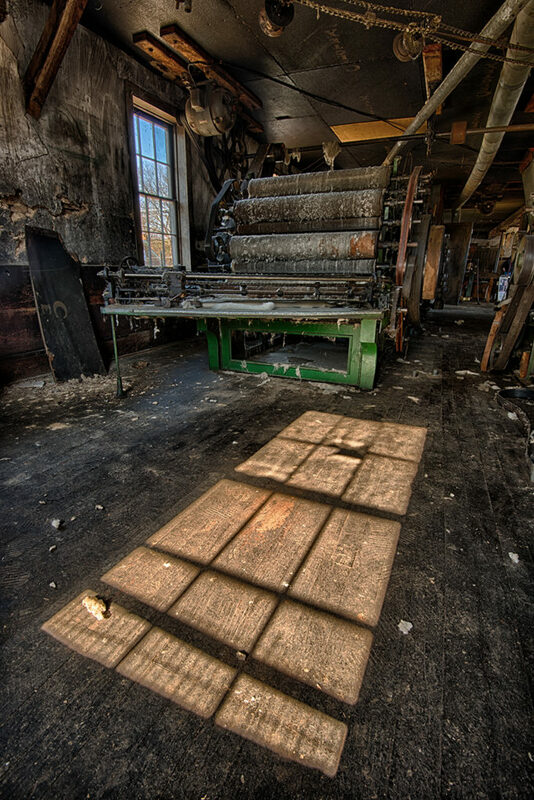 The current owners, local residents Dennis and Lisa Wile, bought the mill in 2009 and have kept up its production, using traditional manufacturing machines, tools and methods, thus making it one of the oldest operating woolen mills in the USA. Upon first arriving to photograph the mill, I left my camera in the car and spent the first hour just walking around trying to make sense of its dark, pervasive chaos. 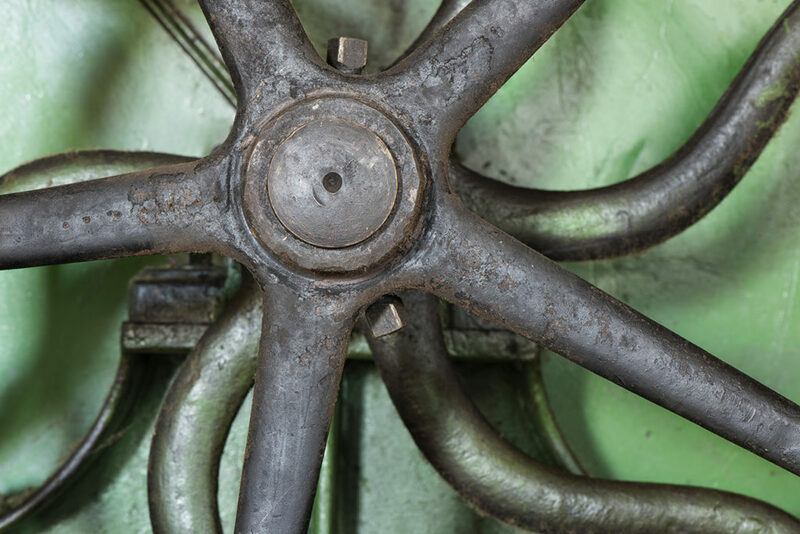 Strewn throughout the shadowy mill were pieces of furniture, industrial machinery, hand tools, fabric and office equipment, – some broken, some operable, most rusted. I could hardly believe that this is a facility that still produces wool. But, among all the mayhem, somehow it does. 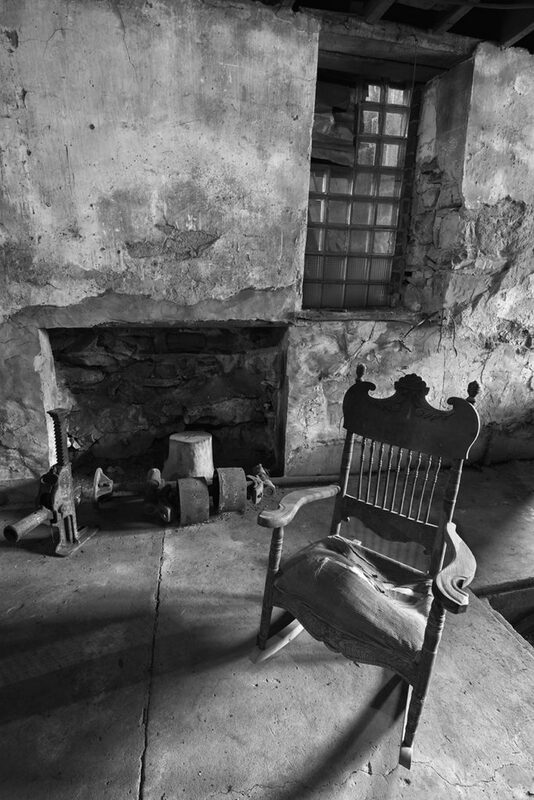 A two hundred year old building such as this presents special opportunities for photography. The depth of the windows, the rich texture of the crumbling plaster on the walls, the cracked wooden floorboards, the way the light and shadow changes, as the sun moves around the building during the course of the day, all require the photographer to pay careful attention to seeing compositions as they appear and disappear from one moment to the next. Because of the ever-changing light, I moved regularly between the mill’s four floors, studying how the light was moving, watching the shadows change shape and creep across the ancient floors. Even after almost eight hours spent shooting in the mill, I felt I was only just beginning to get the feel of the place, only just starting to see it properly. I know I will have to go back and explore its extraordinary photographic potential further. 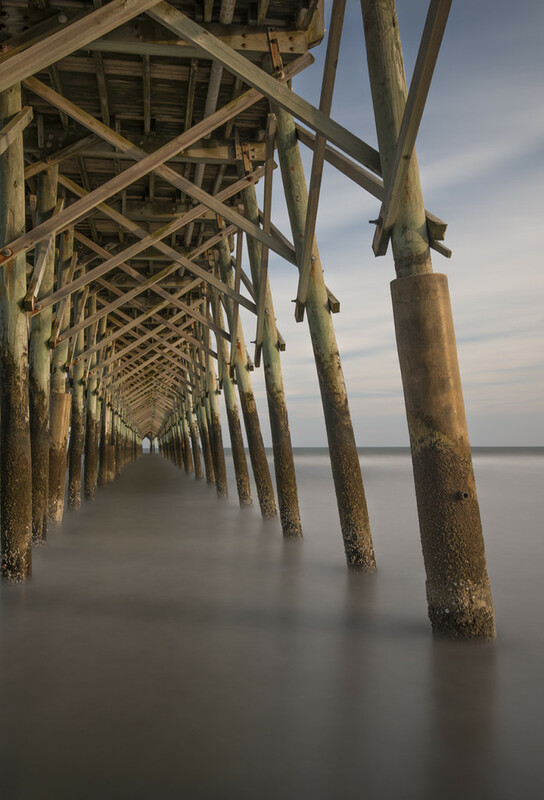 Long-exposure seascapes of piers are among my favourite types of image to create. Such images have an eerie, unnatural quality that allows the eye to see the world in a unfamiliar and revealing way. The juxtaposition of these complex, intricate man-made structures and the natural forces of sea and sky, slowed down to a dead stop by the camera, evoke feelings of emptiness, loneliness, abandonment and desolation. It’s as if these structures were built long ago, then forsaken by creatures long since disappeared. As climate change frog-marches mankind inexorably towards his incipient, self-engineered doom, the supposed superiority of the human intellect allows us to foresee a future Planet Earth where the species homo sapiens no longer resides. Having selfishly driven so many other species to extinction before him, mankind is unmasked as the architect of his own demise, undone by his own greed and shortsightedness, leaving behind a planet which can no longer support his form of life but which retains, for just a few moments longer than man himself, the impermanent structures that he built. What arrogance, what folly for man to build wooden structures out into the water, for no purpose other than his own amusement, and to delude himself that they will withstand the relentless forces of the ocean and the wind. They will inevitably fall, as mankind himself is set to fall. What will our world look like when it no longer numbers mankind among its inhabitants? I have a feeling it might look a lot like these images. 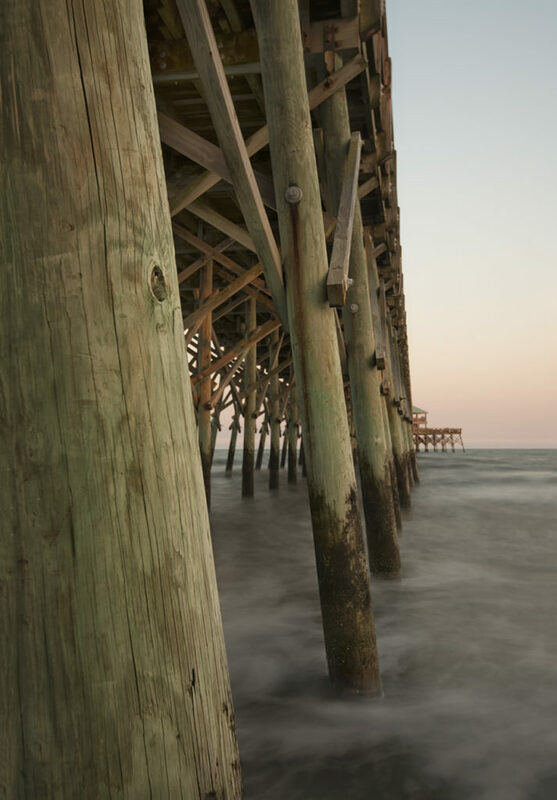 This is the aptly named Folly Pier. 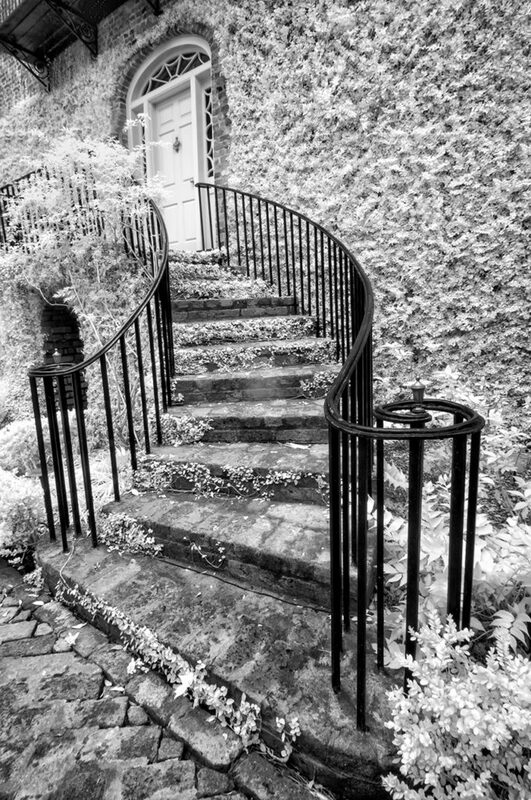 My readings on the subject of photographic composition tell me that the key to a successful image is simplicity. Decide on the subject of the image, isolate it, simplify it, strip out everything else in the frame that is not the subject. That’s easier said than done most of the time, such as on a busy street or in a crowded flowerbed. But this morning I had the opportunity to take the concept of compositional simplicity further than I’ve ever taken it before. 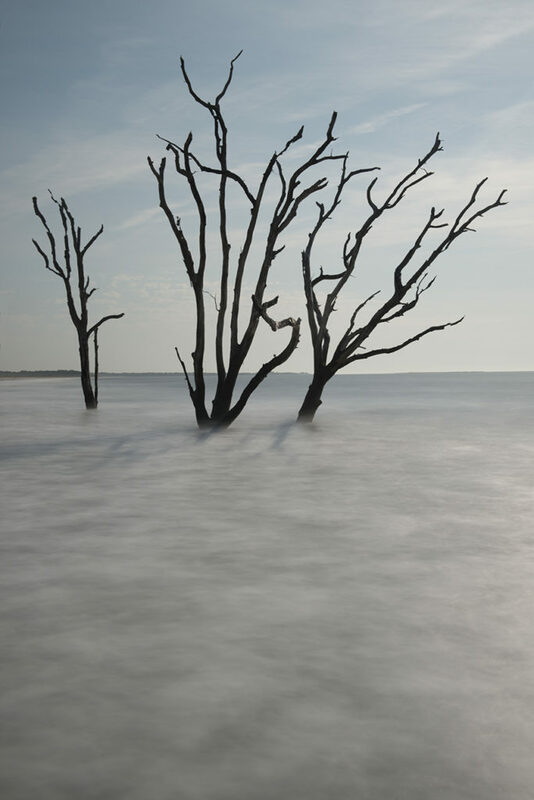 I was shooting at the tree bone yard on Edisto Beach, South Carolina. 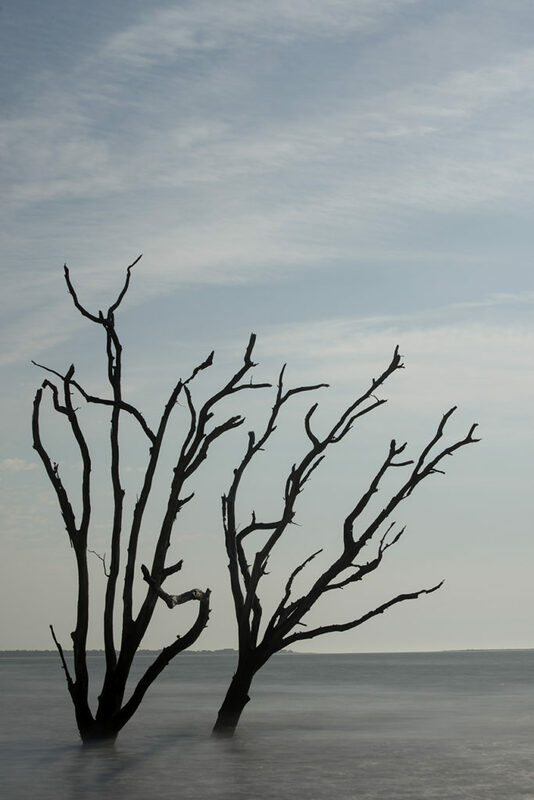 The extraordinary, almost other-worldly shapes of the dead trees standing out in the ocean gave me the opportunity to frame the clear subject of the trees against the neutral background of the sea and sky. The other compositional concept that I applied in creating these images was that of separation: taking care to position the camera so as to ensure that there was no overlapping of shapes between the tree limbs nor, to the extent possible, between the lower limbs of the trees and the horizon line. While it may look simple, this was not easy to achieve: at times, I was kneeling waist-high in seawater with my camera, on a tripod, no more than six inches above the surf, constantly watching out for the one big wave that would wipe me out. I also discovered that there are many other hazards to capturing these kinds of images. 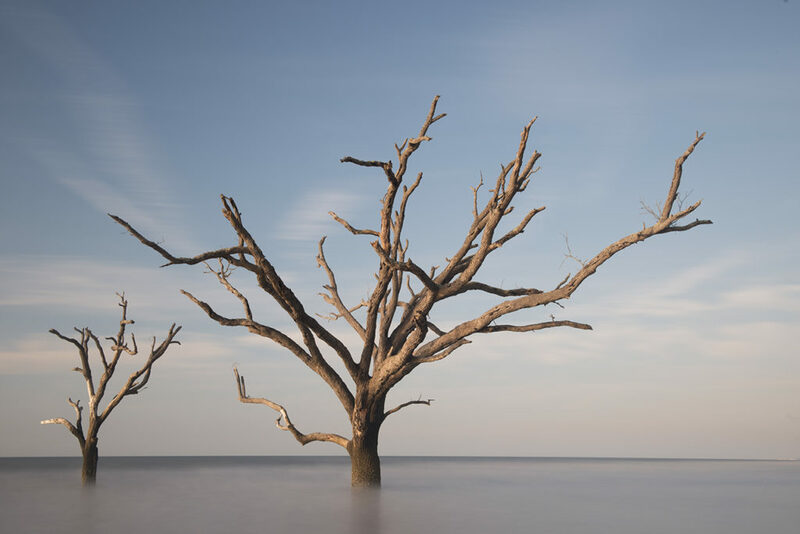 With my tripod’s feet planted in the shifting sand and its legs constantly buffeted by the pounding surf, I found that the tripod often shifted during long exposures, causing the trees to blur and necessitating re-shooting the image. Also, no matter how careful I was, inevitably, some splashes of seawater made their way on to the front of my neutral density (ND) filter, so I had to clean it after almost every shot. 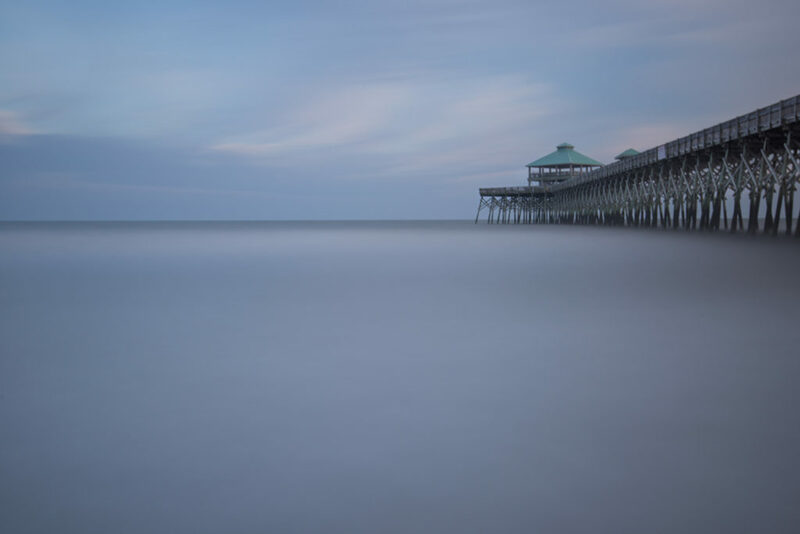 These images were shot with apertures between f8 and f11, with exposure times ranging from eighty-one seconds, early in the morning, to six seconds, as the sun got brighter. All were taken using ND filters, either six or ten stops. I learned a lot from creating these images, as it was a type of shooting that I had not attempted before. One of the more interesting lessons was that the sun casts the shadows of the trees on to the surface of the ocean. The human eye can’t normally see them, because of the constant churning of the breaking surf. But, slow time down with an ND filter, and there are the shadows, clearly visible on the flattened surface of the ocean.